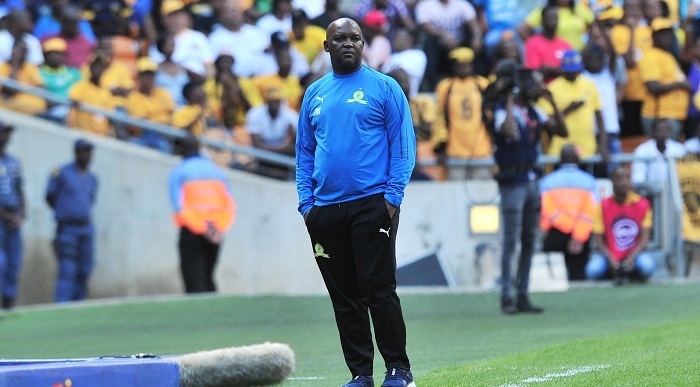 Mamelodi Sundowns coach Pitso Mosimane is hoping his side will return to winning ways when they welcome Asec Mimosa in the Caf Champions League on Friday. The Brazilians recently suffered a loss for the first time in 28 games when they fell to a 2-0 defeat to AmaZulu in the Absa Premiership. The defeat saw Sundowns fail to close the gap on log leaders Bidvest Wits, although the defending champions still have two games in hand over the leaders, trailing them by three points. Sundowns will look to bounce back against Asec Mimosas on Friday in the Champions League at Lucas Moripe Stadium. Mosimane is hoping to have fresh legs within his squad as they look to secure their second win in Group A. ‘What’s important, is to get the legs fresh and the minds proper because we need the team for Friday,’ Mosimane told the media. The match at Loftus Versfeld Stadium kicks off at 9pm.